Description JUST REPRICED FROM $22,995, EPA 25 MPG Hwy/20 MPG City! CARFAX 1-Owner, SUPERB CONDITION!! !, LOW MILES - 13,909! Sunroof, Heated Seats, 4x4, PARKVIEW REAR BACK-UP CAMERA, CD Player, Bluetooth, iPod/MP3 Input, RADIO: 430 CLICK ME! Heated Driver Seat, iPod/MP3 Input, Bluetooth, CD Player, Heated Seats. Rear Spoiler, 4x4, Privacy Glass, Keyless Entry, Child Safety Locks. QUICK ORDER PACKAGE 23P HIGH ALTITUDE Engine: 2.4L I4 DOHC 16V Dual VVT, Transmission: 6-Speed Automatic, Bright Exhaust Tip, Remote Start System, Power Express Open/Close Sunroof, Body Color Fascias w/Bright Insert, Power 6-Way Driver Seat, Bright Side Roof Rails, PARKVIEW REAR BACK-UP CAMERA, RADIO: 430 6.5" Touchscreen Display, 40GB Hard Drive w/28GB Available, PREMIUM SOUND GROUP 9 Boston Acoustic Speakers w/Subwoofer, 2 Articulating Liftgate Speakers, WHEELS: 18" X 7" ALUMINUM Tires: P215/55R18 BSW AS Performance, AIR CONDITIONING W/AUTO TEMP CONTROL, ENGINE: 2.4L I4 DOHC 16V DUAL VVT (STD), TRANSMISSION: 6-SPEED AUTOMATIC (STD). Jeep High Altitude with Black Clearcoat exterior and Dark Slate Gray interior features a 4 Cylinder Engine with 172 HP at 6000 RPM*. LOCATED IN RUSHVILLE! CALL TODAY 877-725-3003. 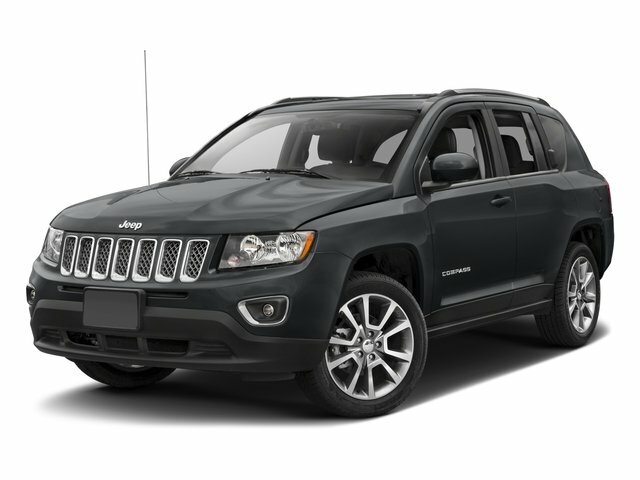 AutoBlog.com explains "The Jeep Compass combines competence and predictable maneuverability with smooth powertrains and an ample selection of standard equipment at affordable prices.". Great Gas Mileage: 25 MPG Hwy.